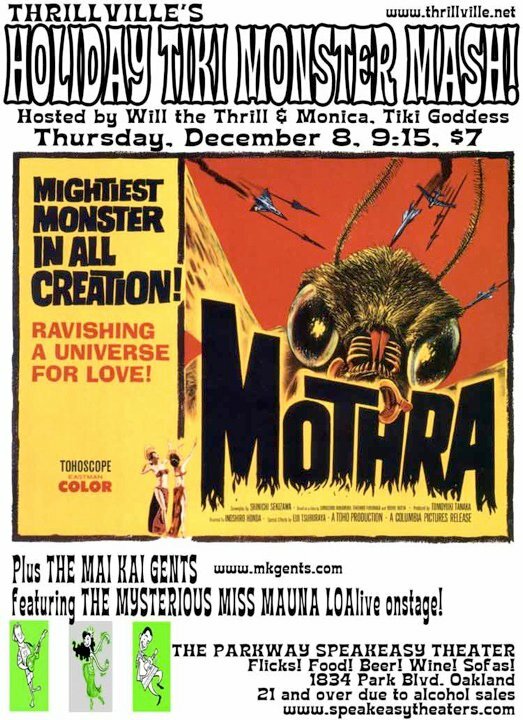 The second time I booked Mothra for a sold-out house in Thrillville, it was a beautiful print in English language, but with "sound slugs," so to speak, meaning certain scenes added to the print from the Japanese version weren't dubbed, so these short sequences contained were completely silent. 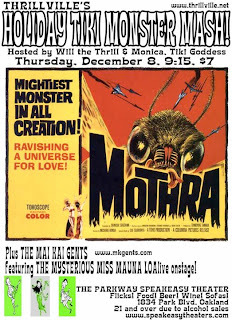 Only subtiles for some of the dialogue, as I recall. Once again, the largely inebriated audience took it upon themselves to vocally fill in the gaps. It wasn't as annoying as that may seem. 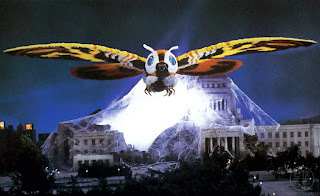 That was one of the great things about The Parkway: the collective spirit of shared fun. 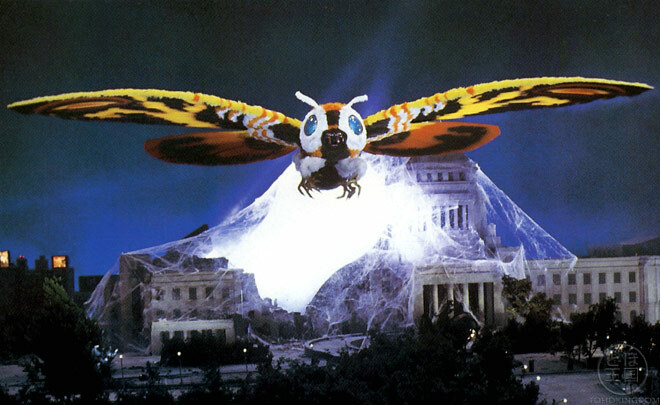 Eventually I booked an English language print of Mothra with sound all the way through. It just wasn't the same...Kampei.